Penguin Blog | Security & Forensics musings, random networking info, portfolio. Security & Forensics musings, random networking info, portfolio. TL:DR? 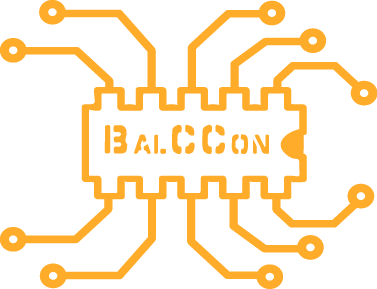 BalCCon is 3 days of non-stop amazing. BalCCon was a complete throwback for me, in the best way possible. It reminded me of the glory days of computer & hacker meetings, right back to e.g. HAL2001, old LAN parties. It feels like the old meetups, where people dragged their equipment to a campsite, town hall, internet café or just about any other available space, just to spend time talking with each other, swapping stories, etc. It is a genuine three day long celebration for and by people who have varying, multiple overlapping interests in computer security, embedded systems, hacking, forensics, systems administration and so much more. The conference is open to all people from all walks of life, with special accomodations made for students or other less fortunate, who might not be able to attend such a conference otherwise. That alone speaks volumes about the atmosphere and feeling of inclusiveness that BalCCon radiates. There was not a single sour note in all of those three days as far as I could tell, and many new friendships were formed. The conference is run by and for the attendees and volunteers, who graciously donate crazy amounts of time, money, equipment and expertise for this. There are no commercial presentations, no vendor stands, no sales pitches, no other nonsense. It is lots of speakers and all the other people showing off and talking about what they love and do best. On top of that, it is held at an amazing location (Novi Sad Conference Center), organized by amazing people (<3 you J & M!) in an amazing country (Serbia). Thank you organizers, volunteers and attendees. These are truly fond memories forever. The Dutch media are all over a report that the AIVD was watching ‘Russians’ hack into the US election and sharing this information with the FBI. This supposedly happened by compromising computer systems in a university right next to the Kremlin, as well as hacking into a ‘live’ camera feed. FSB (or its subsidiaries) has/have live camera feeds, connected / reachable through the internet no less, of entry and exit to their active / critical ops rooms? A severe compromise like this remained undetected for months? The intelligence services are now openly sharing this type of information in the media? APT28 and APT29 are also both mentioned – which is it? This information came from an unconfirmed ‘anonymous source’ within the government. Right. We’re also repeatedly reassured this has nothing to do with the continued push for increased surveillance powers. Is there a kernel of truth somewhere? I have no idea, but this is either unbelievable or the worst OPSEC failure ever. Last update: happy July 4th, American readers! – For the original article, read below the line-break. Analysis confirms the regular MeDoc software update method as the NotPetya delivery mechanism. In fact, the delivery mechanism works/worked identical to NotPetya’s own spreading method (rundll32.exe, as per the ESET article). The backdoor was specifically designed for the Ukraine, it seems. EDRPOU values have no use outside the Ukraine. Particularly the inclusion of EDRPOU enumeration by the backdoor implies specifically targeting the Ukraine by the threat actor. This is also completely consistent with the geo-restricted watering hole attack on the Bahmut news site (see earlier). Considering the MeDoc software is Ukraine-specific already, however, it does raise the question if this backdoor was intended to target specific companies (EDRPOUs are supposedly unique assigned to a company?). Was NotPetya indiscriminately launched against all successfully backdoored company networks (a ‘burn notice‘ for the existing backdoor/exploits/tooling if you will) or were specific companies targeted based on these EDRPOU numbers (also possible based on NotPetya’s attempts to cover its tracks)? If someone knows whether or not Ukrainian companies exist that had the backdoor, but were not attacked with NotPetya, I’d like to know! I have some doubts whether this was a Russian operation. Ukrainian intelligence is now claiming that this was a Russian attack. It is common knowledge and obvious that nation-state attacks at this kind of scale need the approval of the president/prime minister. Exactly because of the potential scale and impact of cyberattacks, this certainly would not be any different in Russia. In other words: I believe Putin would have had to approve NotPetya’s deployment at some point. Consider that Putin is a (former..?) top-ranking life-time KGB/FSB intelligence officer, would he really approve an attack at this scale and level, with so much collateral damage, all the while leaving (too) obvious pointers back to Russia? The NotPetya design and purpose certainly wasn’t “Amateur Hour”. That said, I can imagine it be an intentional play: “Make the clues too obvious to be believable”, but it could simply be a false-flag operation too: Ukraine recently voted to make NATO membership one of their primary goals, and this could be a move to speed up their application/approval process. Of course, this is all very much speculation, but it’s certainly food for thought. It has been confirmed that the MeDoc software’s update mechanism was used to deploy NotPetya. As stated, MeDoc is specific to Ukrainian companies (useless to others), because it is needed to exchange tax/accounting information with the Ukrainian government. Also, a Ukrainian news site, Bahmut, was used as a watering hole attack: visitors coming from Ukrainian IP ranges were being actively attacked with the NotPetya malware (through known browser exploits). Update 1: a high ranking Ukrainian intelligence officer was killed yesterday was killed on the same day as the NotPetya outbreak. But maybe that was just a coincidence..? Undoubtedly you have heard by now that on June 27th, a massive ransomware attack, dubbed NotPetya / GoldenEye / Nyetya struck several large business throughout the world. In this post, I’d like to make the argument that this was a targeted attack at the Ukraïne, disguised as a ‘regular phishing / ransomware’ attack. The delivery mechanism for NotPetya has been established by several sources now and is believed to be the M.E.Doc updater mechanism. M.E.Doc ( www.me-doc.com.ua ) is an Ukrainian accountancy company that provides accounting/tax software for interactions with the Ukrainian government. Secondary sources are purported to be phishing e-mails making use of the .HTA (CVE-2017-0199) exploit. NotPetya is otherwise similar (hence the name) to the Petya ransomware. It replaces the Master Boot Record with a fake CHKDSK screen, while in reality the files are being encrypted. At the end, it displays a ransomware notice instructing the user to pay $300 in BitCoin equivalent to a single address. NotPetya is somewhat unique in its aggressiveness and combination of exploitation techniques: it attempts to leverage PsExec, WMIC, harvested credentials (from memory), ETERNALBLUE (CVE-2017-0143) and ETERNALROMANCE (CVE-2017-0144) attacks to move laterally across the network. NotPetya was deliberately spread on June 27th. June 28th is a national holiday in the Ukraine (Constitution Day). This is reminiscent of the WannaCry attack on a Friday, before the weekend, that was attributed to the LAZARUS group. NotPetya specifically leveraged the Ukrainian MeDoc company, providing services specifically for the Ukraine, as the initial infection vector. Spreading happens specifically on the local subnet, contrary to the WannaCry attack. I would expect ‘regular’ ransomware to attempt to maximize spreading, instead of deliberately targeting only part of a network. The inbuilt scheduled ‘shutdown’ of an hour after the infection and aggressive lateral movement, but before the actual encryption, causes most systems in the network to reboot and become unusable at roughly the same time, maximizing the chance of disabling an organization’s operations entirely. The unusual and advanced combination of exploit attacks does not align with the ‘amateuristic’ approach to the actual ransomware payment of ‘only’ $300 to a single BitCoin address (which was promptly suspended). This could be construed to mean that the effect of ransomware was not the primary goal. Undoubtedly there will be a lot of ongoing speculation and analysis, including on attribution. That said, I feel that the behaviour of NotPetya and the current information points to a targeted attack on the Ukraine, with the ‘collateral damage’ world-wide being an intentional attempt at a ‘smoke screen’ by the Threat Actor. This blog is a personal blog and does not reflect the opinions, standards, etc. of my employer. If you have questions or comments, please feel free to reach out to me personally at penguin <kajigger> dhcp <doohickey> net. I run my own domain name(s) and E-mail servers. It’s not that hard to do, and you should really consider it, instead of handing over your domains and E-mails to some ‘free’ service provider like Google (remember: if something is free, you are the product). This, of course, means that I can change and tune everything to my liking. For instance, I use ClamAV, SpamAssassin, Spamhaus, SPF, DKIM, DMARC and Sieve to severely cut down on the amount of spam/malware that makes it into my family’s/friends’/own mailboxes. In fact, maybe one or two mails actually make it through the filters on a monthly basis – it’s nice to look at the statistics 😉 I like to auto-blacklist the hosts (hosts.deny) that try to send spam as well. The E-mails contain the usual malware/phishing attempts (Locky, other ransomware). Seems like a new spam botnet came online. Friday August 12th marked the end of my 2-year part-time study at UCD’s M.Sc. in DIFC with me handing in the final paper for the Digital Investigation project. Since my previous employment was as a University College lecturer, I thought I would do a write-up on how I’ve experienced DIFC from my own perspective as an educator, student and professional in this field. Please note that the course content follows the part-time study model (2 years) and my opinions/thoughts might not be indicative of what full-time students experience. Signing up for DIFC is a multi-stage process, consisting of submitting a request for enrollment accompanied by two qualified references. After being accepted, you need to complete an exam with a follow-up interview. The exam covers a wide variety of IT-related subjects (in my case: anything from programming algorithms to OS memory management to database engineering), and you only get an hour to complete it. Cheating is pointless/impossible: the exam is only handed out at the moment the hour starts, and is immediately followed by the interview. After I had completed the exam, the interviewers called me on Skype to go through the exam questions step-by-step, asking for the answers and my explanation/reasoning. I wouldn’t say the exam is difficult per sé, but it might be advisable to do a refresher course on some of the subjects. If successful, you’re officially enrolled and you start to receive E-mails on signing up for classes, your UCD account, paying fees, etc. This is where DIFC could certainly improve: particularly for foreign/international students, who are not ‘on-campus’ or have been at UCD before, it can be a bit of mystery where all relevant information is accessible. Perhaps an early online classroom session where you are guided through setting up the most basic stuff would help? I’ve always been interested in IT Law, and TJ is a particularly engaging lecturer, extremely knowledgeable and was always willing to extensively answer questions that came up. The IT Law module is tough (prepare to write a LOT of papers) but very rewarding and very informative! The lessons themselves are simultaneously ‘live’ in the actual classrooms and in an online (AdobeConnect) environment. It makes the part-time and remote students feel ‘part of the classroom’ and connect with the full-time students, which is great! Generally this worked well, but the initial courses suffered a bit from poor video/audio setup. This was partially due to the quality of the technical equipment, partially due to poor internet connectivity. Regardless, this only happened a few times and the quality was generally quite good. Presentations were a combination of theoretical concepts, mixed with practical assignments and discussion, which made for an engaging classroom experience. On average, 2-4 exams are handed out per course, which are graded American-style: F, D, C, B, A with +’s and -‘s, D being a minimum ‘passing grade’. The exams wildly vary in type (which I consider a good thing!) and size: anything from a short paper to a full-blown pentest report. Although most of DIFC is possible through remote studying, some exams require you to be present – at least two visits to Dublin are required. Notable moments are the on-site exams around December and March, as well as the forensic interview/search & seizure/courtroom workshops. The dates for these required visits are communicated well in advance. Nevertheless, it is highly recommended to still book flights & accomodations as early as you can: Dublin is a popular city and prices can fluctuate strongly, particularly during conference season (as happened with my visit(s)). The last DIFC course module is the Digital Project, where you are required to come up with a practical research project in the field of Digital Forensics. The examinations for this are different; rather than individual assignments, you report on the different milestones of your project: doing a literature study, building a proof of concept, evaluating the results and writing an academic-quality paper. Getting up to speed as a ‘new’/’new-to-UCD’ student was slow and we had to figure out a lot of things for ourselves. Course theory did not always match the same level of depth as the practical assignment that was connected to it. While not a necessity, it would be good if the assistance (e.g. through the Ph.D. students) for some of the subject matter (reverse engineering – see above) would be more accessible and easier to plan. Scheduling appointments felt very ad-hoc and doing this over E-mail was inefficient, at best – perhaps some centralized method of scheduling could help? The M.Sc. in Digital Investigation and Forensic Computing truly shines in its hands-on, practical approach and the engaging content and lessons. Everyone at KPN and the HvA that made it possible for me do this study! I hope I didn’t forget anyone in this list. If I did: sorry, tell me! Now, obviously I would never click on this (please don’t click on it either! ), as it immediately rings several alarm bells. A quick investigation with a URL expander proved my suspicions: it leads to referral spam/survey website. What struck me as odd, was that this friend ‘knows his stuff’ and would never let himself be tricked into participating in these scams, click on random links, fall victim to trojans/malware, etc. So, that left us wondering if something was up with Skype…? the best we can to rectify this. This was followed by the Skype Support Engineer giving instructions to unlink all applications to Skype(**), wiping all of Skype’s application and temporary files and the chat history. Update 1: another friend also reported receiving the same message. So, does anyone have an idea what’s going on? Update 2: a Microsoft/Skype engineer contacted me to figure out what was going on. Apparently this is a known issue with Skype accounts that might have been linked to e.g. old Hotmail-accounts, or a disconnect (no synchronization) between an old Skype password and an MSA password. In short, if your password to one of these old accounts is compromised, it can also be used to login to Skype. Yes, you read that correctly: you can have multiple working passwords for one Skype account/username! Thanks to Microsoft for contacting me about this. I’m not sure how I feel about the principal possibility to have multiple working passwords for a single Skype account, but at least it’s good to know how to mitigate this issue if you’ve been affected. TL;DR: If you’ve used Skype for many years, it might be linked to old Microsoft accounts (e.g. Hotmail): make sure you are using strong passwords for those old accounts to prevent malicious logins on Skype as well. If you arrived here by accident or curiosity, click here for more information about this website. The Dynamic Host Configuration Protocol automatically assigns IP addresses to computer systems on a network, defined in RFC2131. Basic information on getting started with DHCP (the Dynamic Host Configuration Protocol) is available on this website. For simple use of IPv6 in networks, DHCPv6 is no longer necessary; it can be easier to use RADVD (which employs the ICMPv6 protocol). Of course, one might still use DHCPv6 for specific static assignments etc. Clients ask the network for configuration information, known as Router Discovery, and IPv6 routers will answer with a Router Advertisement packet that contains the appropriate settings. Consequently, you should normally never block ICMP traffic on IPv6 networks. More information about me and my work is available under the Portfolio tab.